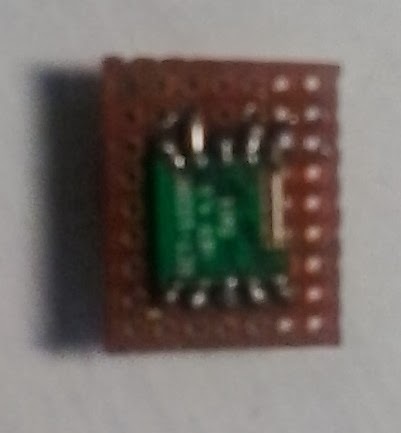 BUS MODE pin should be connected to GND whereas W/R and MPXO pin should be left unconnected. I make a simple breakout board out of a small piece of veroboard from my junk box to be able to plug it into a breadboard for development work. Here comes a word of caution for those converting I2C code from the Arduino to the PIC. The Arduino is using 7-bit I2C addresses, which is 0x60, as specified in the TEA5767 datasheet, with read/write address determined accordingly. 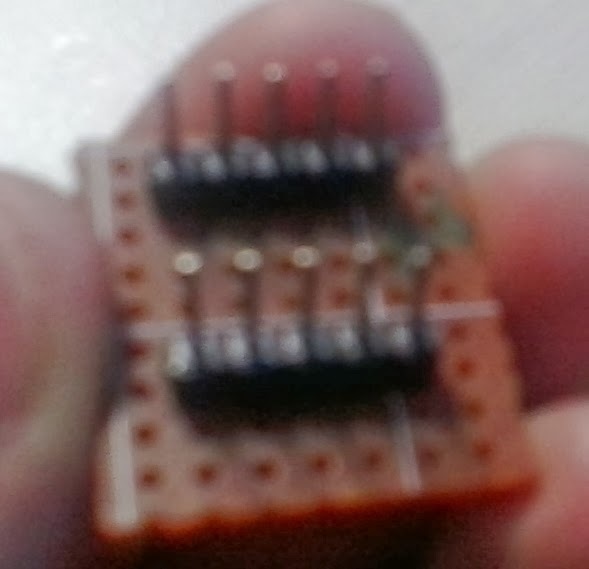 However, the PIC24FJ64GA002 that I am using and most other PICs use 8-bit I2C addresses, which consist of the original 7-bit address and another bit to indicate read/write operation. Therefore, the correct I2C address for the TEA5767 on a PIC is 0xC1 for reading and 0xC0 for writing. I wasted three days debugging this issue. With the above code the TEA5767 is able to tune into my favourite FM station. The output, although very low, sounds good and clear when fed into a suitable amplifier (such as PC audio system) or a crystal earpiece. However, despite various debugging efforts, the above code simply returned 0xFF for all the bytes. I even checked on an oscilloscope and indeed the SDA line remained high during the read operation. My software I2C library has always been working well with other stuff, including a DS621 temperature sensor, DS1307 RTC and several EEPROMs. It was so tempting at this stage to conclude that the TEA5767 module that I received was partially faulty. Who knows, perhaps that is the case for my module which was purchased from Chinese eBay sellers. However, I decided to make one last attempt at it by using the PIC24 hardware I2C modules, instead of bit-banging it via software. If the hardware I2C code does not work with your PIC, first try to use the second I2C module instead of the first I2C module. Some PIC24 devices have a silicon bug rendering the first I2C module inoperative. Secondly, if the code is working intermittently, try to add a 82pF capacitor connecting the SDA line to ground for each I2C device on the bus. It was not working for me initially until I realized that it seemed to work with the oscilloscope probe pin connected, and figured that the capacitor is necessary. The reason is apparently due to the parasitic capacitance on a breadboard affecting the rise time/fall time of the I2C clock line, although I have not had time to verify this in details. 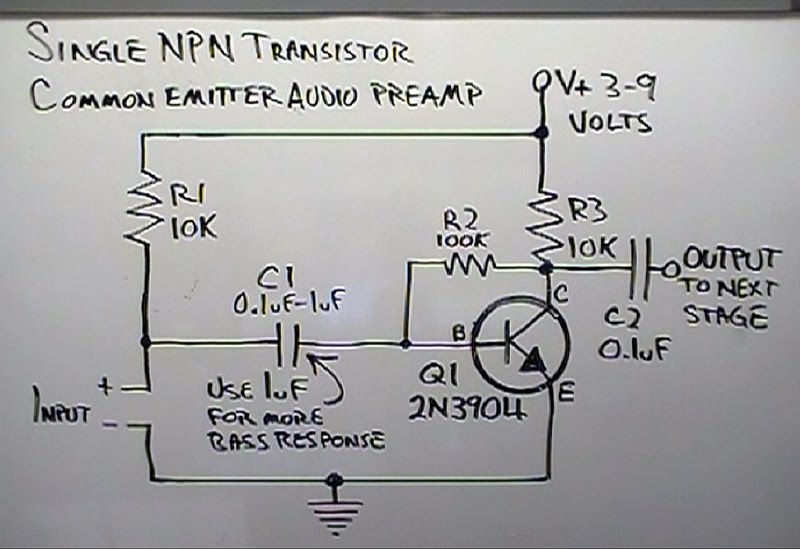 Finally, don’t forget the pullup resistors on both SDA and SCL lines of the I2C bus, which need to be at least 4.7k. 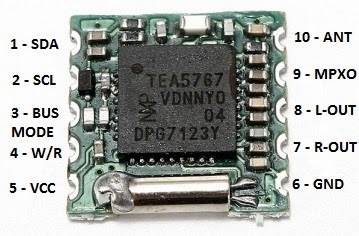 I hope this will be useful for other hobbyists who are also trying TEA5767 on a PIC. Hi sir, I would like to know if the codecs given to pass the frequency would work with PIC16F ? And also the logic behind the variable 'frequencyB' …. Thanks in advance. Hi Anand, the code should work with PIC16F (provided you use the correct I2C library). The logic for frequencyB variable is given in the datasheet, please refer to the datasheet for details. In short, we need to convert it to a 16-bit word before sending it to the TEA5767 to tune to the correct frequency. Hi. Thanks for the support .I integrated this into a bigger program to control this radio and other stuff from internet. By the way, all codes work fine. I suppose you had issues probably because you activated the native i2c on the controller? Hi Bogdan. Glad to hear that the code works. Yes, I used the wrong I2C address for the module and wasted some time debugging it. After the correct address is used, everything worked fine.